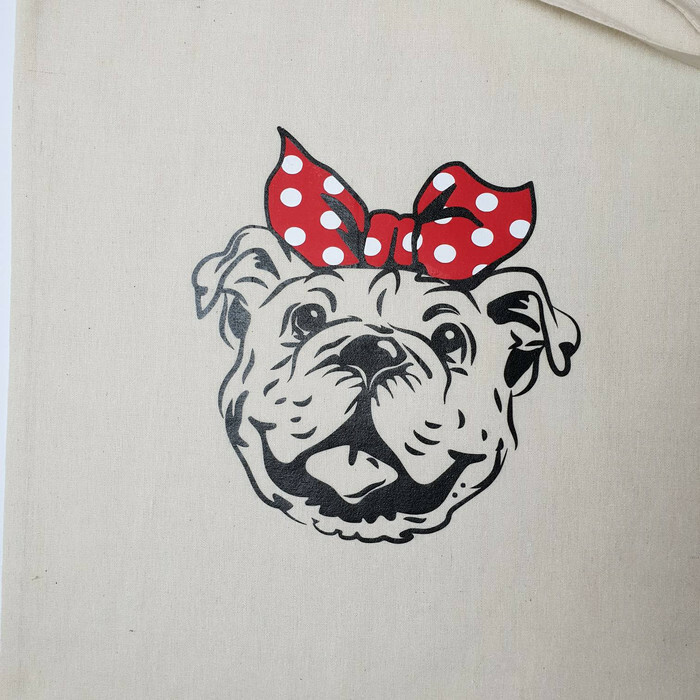 Calico tote bag with a bulldog head on wearing a red and white polka dot top knot. The head is applied in a black vinyl with a red a white topknot. This can be applied in other colours if you require please send me a message. 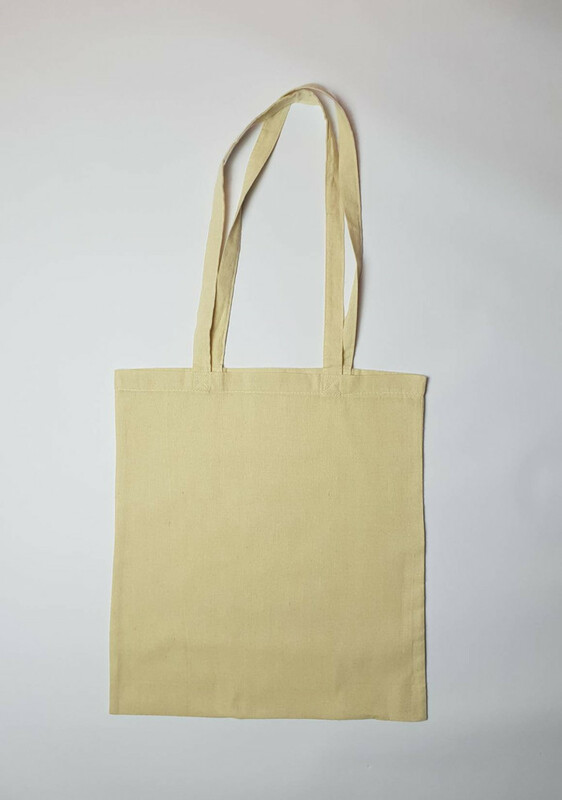 The size of the tote is approx 37cm wide x 42cm high with a total length inc shoulder straps of approx 75cm. Item is shipped using standard mail without tracking which can take 6 to 10 days within Australia, and can take between approximately 2 - 6 weeks for everywhere else. Shipping upgrade is available which includes tracking please select which option you would prefer upon checkout. 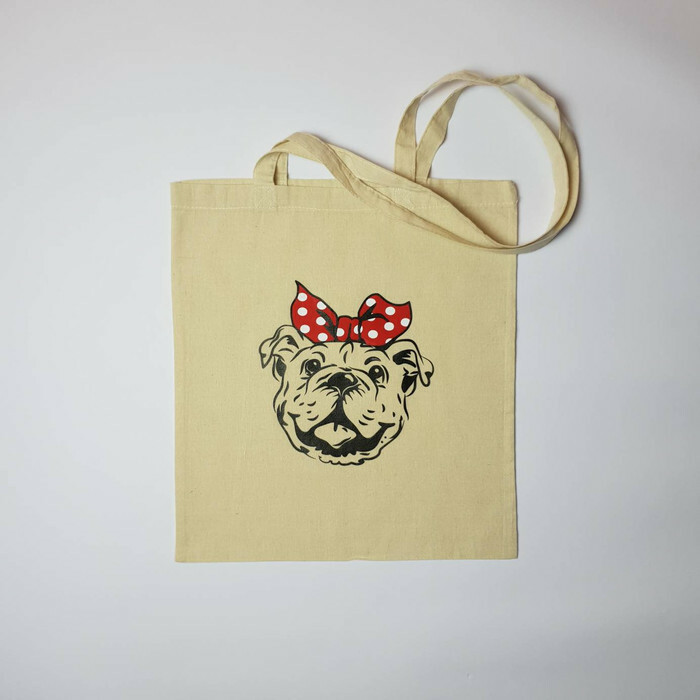 For more items please visit my store.